KRISP News: Two manuscripts featured in the Lancet website front webpage on AIDS day. 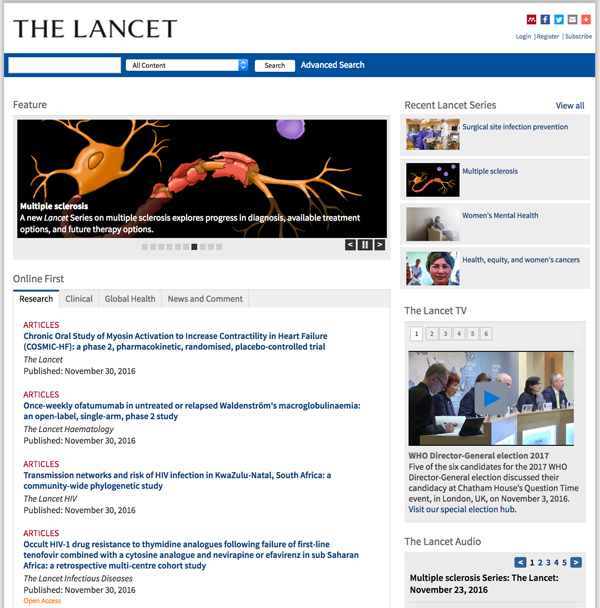 Two manuscripts featured in the Lancet website front webpage on AIDS day. - Lancet HIV - Transmission networks and risk of HIV infection in KwaZulu-Natal, South Africa: a community-wide phylogenetic study. de Oliveira T, Kharsany ABM, Graf T, Cawood C, Khanyile D, Grobler A, Puren A, Madurai S, Baxter C, Karim QA, Karim SSA, Lancet HIV (2016), http://dx.doi.org/10.1016/S2352-3018(16)30186-2. - Lancet Infectious Diseases - Occult HIV-1 drug resistance to thymidine analogues following failure of first-line tenofovir combined with a cytosine analogue and nevirapine or efavirenz in sub Saharan Africa: a retrospective multi-centre cohort study. Gregson et al. Lancet Infectious Diseases (2016), http://dx.doi.org/10.1016/S1473-3099(16)30469-8.